Per Nevada State Athletic Commission Executive Director Bob Bennett, Conor McGregor and Khabib Nurmagomedov will temporarily be suspended by the Nevada State Athletic Commission on Monday ahead of an Oct. 24 hearing. 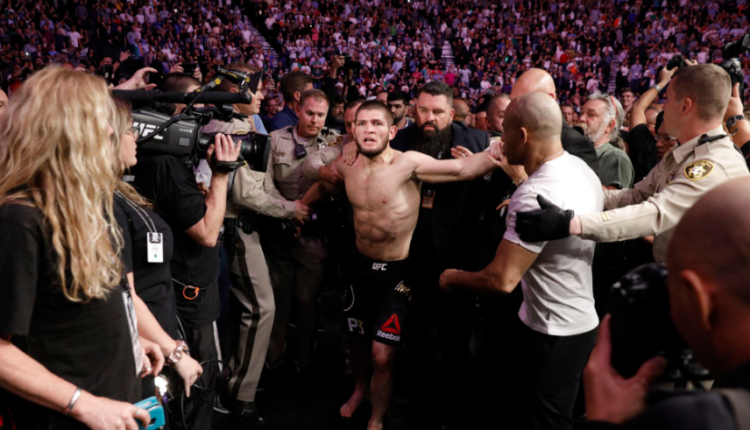 As first reported by ESPN’s Ariel Helwani, the NSAC will decide at the hearing whether or not to suspended Nurmagomedov and McGregor indefinitely following the brawl that erupted in the immediate aftermath of their UFC 229 fight. Following the fight, which Nurmagomedov won by submission, the Dagestani UFC lightweight champion jumped over the Octagon to attack members of McGregor’s corner. McGregor, meanwhile, climbed up on the cage to attack members of Nurmagomedov’s team who came at him, and McGregor was sucker punched in the Octagon by who is assumed to be a member of Nurmagomedov’s team. Nurmagomedov is expected to receive sanctions for starting the brawl, while McGregor is likely to be punished for jumping on and scaling the cage. Nurmagomedov’s UFC 229 purse is still being withheld, and Bennett gave no comment as to why.